Bristol Festival of Puppetry is the only English festival to celebrate the artform of puppetry on stage and film. Attracting puppet enthusiasts far and wide, for the first time in 2015 they are spreading their wings to perform on land and water. Festival finishes this Sunday. For those discerning connoisseurs, Bristol is home to #WineWednesday. Every Wednesday between 6-7 pm there is an informal, 40-minute wine tasting of at the Hotel du Vin. Prices from: £20 p.p. (including tasting each of the four wines). Dissect a strawberry and take sensory challenges of foody smells; make and mix some of your own speedy, super cool, ice-cream; try your hand at cheese making too. This is At-Bristol Science Centre’s drop-in kitchen, featuring as part of their Food exhibition. Summer Kitchen ends 16th September. Everyday from 22nd August – 27th September 2015, 11am – 11pm. ‘A festival of art, amusements, and entry-level anarchism’, the Dismaland exhibition promises ‘the finest collection of contemporary art ever assembled in a North Somerset seaside town’ including big names from the art world, such as Damien Hirst. Tickets can be pre-booked and purchased online at www.dismaland.co.uk or bought from a cabin outside the park (although there are a limited number available for immediate entry, some will be subject to queuing). 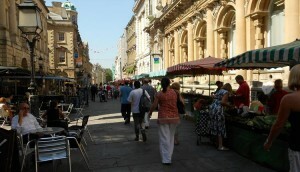 Every Wednesday on Corn Street and Wine Street 9.30am to 2.30pm. The award winning weekly Bristol Farmer’s Market offers customers the opportunity to buy local produce directly from our wholesalers. Saturday 26th September, 12:00pm-11:30pm. Tokyo World, in the words of the producers, ‘fills a need for an outdoor music event in our home city’. The festival moved to Eastville park in 2014; keeping things minimal, this day-long event is always evolving. This year two new stages, featuring House and Techno, stand to represent a large part of Bristol’s music history. Saturday 12th September – The day when many of Bristol’s significant contemporary and historic buildings open their doors to the general public. Entry to all buildings is completely free but for some you will need to pre-book to go round, others offer regular tours with no booking. Sunday 13th September. This race is now firmly established as one of the UK’s leading road races. The course takes in Bristol’s old city, Avon Gorge and Brunel’s famous Suspension Bridge. 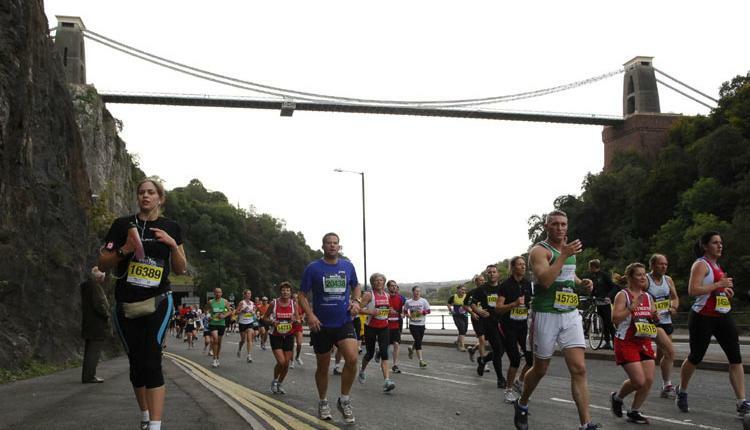 The half marathon will start and finish in Bristol’s historic Harbourside. Road closure information will be released nearer the time; please check the Run Bristol website for details.